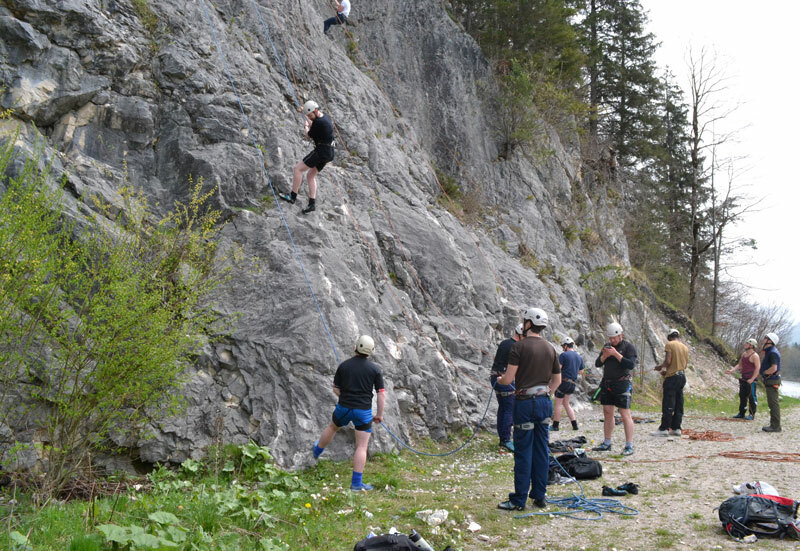 This is your chance to experience the thrills of single pitch climbing and abseiling amongst the beautiful mountains of Bavaria. There are a vast selection of local venues all within easy travelling distance of NOCG. The range and diversity of the area offers a challenging experience for all levels. 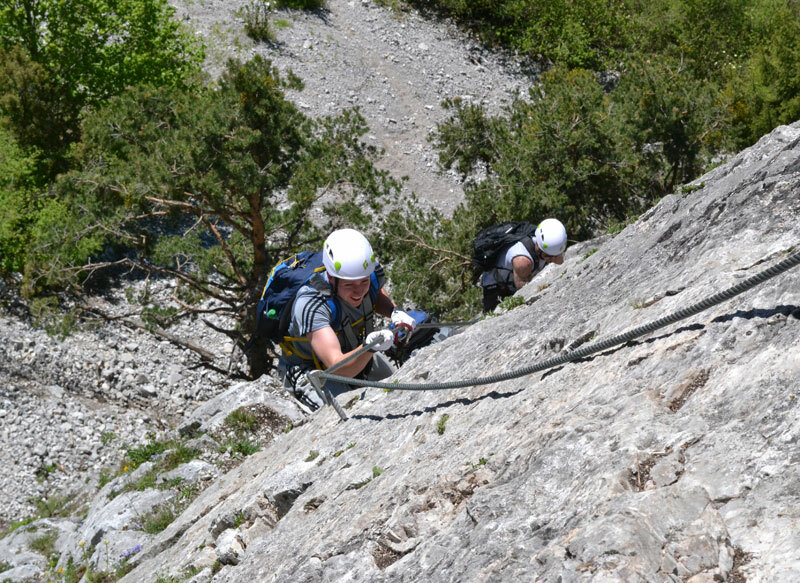 A Klettersteig (German for climbing path) or Via Ferrata (Italian for iron road) is a mountain route which is equipped with fixed cables, ladders, and bridges. There are many within the local area of NOCG which vary in difficulty. The sense of exposure and achievement has to be experienced to be believed and by the end of the day you will have had a truly memorable day in the mountains. This is your chance to experience the thrills of touring the fantastic local country side on tracks and trails. Comprehensive tuition will be given throughout your day on all aspects of riding and equipment whilst being challenged both physically and mentally by your instructor. It is strongly advised to bring cycling shorts to enhance your experience (these can be purchased locally). Whatever level of biker, you will come away having been challenged, educated or overwhelmed by the beauty Bavaria has to offer! 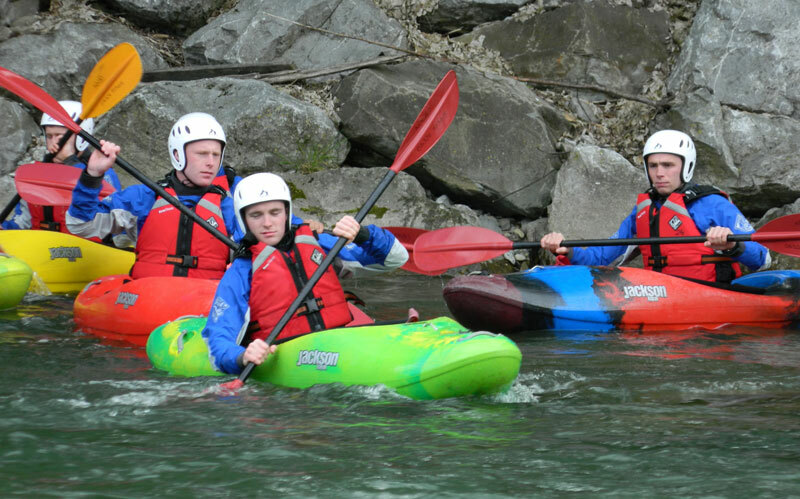 The lakes and rivers in and around NOCG provide an idea venue to experience the thrills and spills of kayaking and canoeing. You will be introduced to kayaking/canoeing on a lake in the morning, taught the basic skills, then use these new found skills on moving water in the afternoon. Standby to get wet! If you wish to participate on one of these courses please ask on arrival to NOCG.